Problem: You have not established credibility and trust. Our plan was to go to the Hawaii BBQ Restaurant for dinner. My husband had read online that the portions were plentiful and the food was cheap - perfect for feeding our three teenage boys. When we got to the front door we were hesitant to walk in. The place was old, rundown, dirty and near empty. There were leftover plates sitting on some of the abandoned tables. You had to ring a bell for service. The clincher was when we noticed the food safety ratings sign in the front window. It had a rating of "Okay", which means that the restaurant has had MANY red critical violations over the last four inspections. This restaurant had completely lost our trust. The food might have been great, but we were not going to stick around to find out. We unanimously agreed that we were going to find somewhere else to eat and bolted out of there. If your business premises are shabby and outdated, I’ll go elsewhere. Same goes for your website. One of the first ways to give a credible and trustworthy impression is with a well-designed, professional looking website. Just like eye contact is vital in a face to face meeting… real images of you on your website are crucial. I want to see a picture of you and your team. If you just show me stock images, I’m thinking you have something to hide. Let others do the talking for you. If you have satisfied customers, place a few short quotes on your website with head shots. Proving your history with happy clients can go a long way in creating trust. How long have you been in business? How many satisfied customers do you have? How much money have you helped them save? This kind of simple, numeric proof shows you know how to get results. If you’ve won a few awards for your work, feel free to include small logos at the bottom of your homepage to showcase how you’ve been recognized. If you provide a business-to-business product or service, place logos of well-known businesses you’ve worked with. If you can say, “as seen on Dr. Oz” or “interviewed by Oprah”, do it! Knowing you’re good enough to work with those partners goes a long way in convincing someone you’re good enough to work with them, too. Are you committed to developing your website into an effective customer acquisition tool? Your efforts will only be successful if trust exists between your online presence and the potential customer. 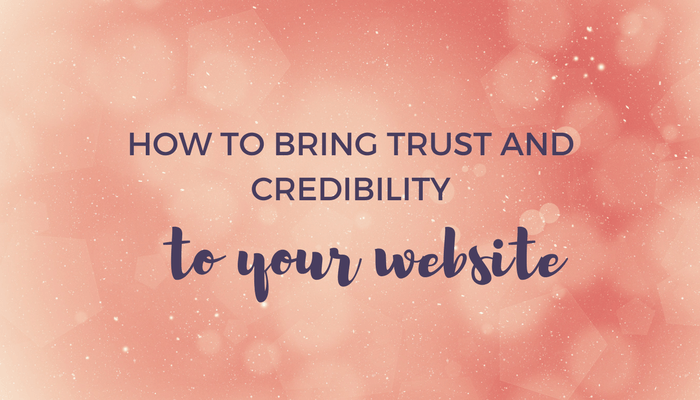 Question: How are you using credibility and social proof on your website to get more customers?